The Committee on the Status of Endangered Wildlife in Canada (COSEWIC) met last week in Ottawa to assess the status of 23 species of concern. 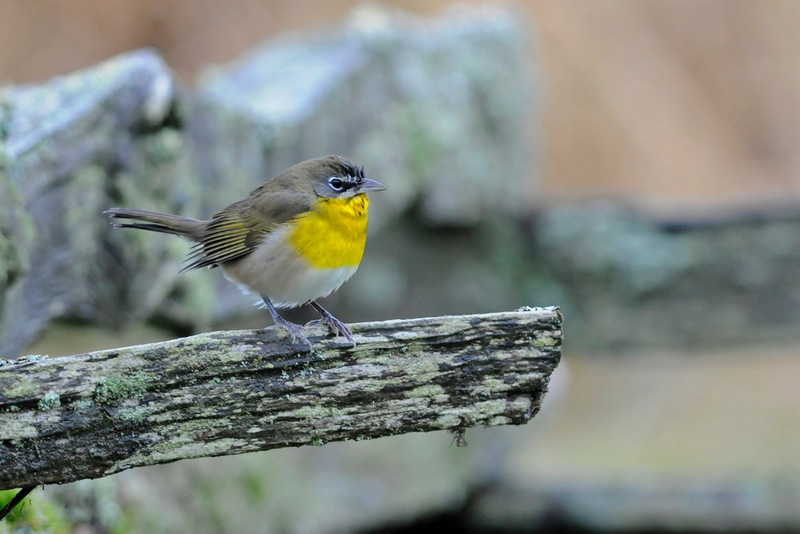 The one bird species discussed was the Yellow-breasted Chat, found in three parts of the country—southern Ontario, the southern Prairies, and the southern Interior of British Columbia. The Ontario population, part of the nominate subspecies Icteria virens virens, was uplisted from Special Concern to Endangered. This population has declined markedly in numbers and now breeds regularly only in one or two locations. This subspecies typically breeds in thickets growing in previously cleared woodlands, a habitat type becoming increasingly rare in southern Ontario and other parts of its range in eastern North America. Chats in western Canada belong to the I. v. auricollis subspecies. The BC population was once again assessed as Endangered because of concerns over its small numbers (only two or three hundred individuals at most) and threats to its valley-bottom riparian habitats. The Prairie population is much healthier (a few thousand individuals) and was once again assessed as Not At Risk. Two mammals were assessed; the Black-tailed Prairie Dog was uplisted from Special Concern to Threatened because of its small, isolated range in Grasslands National Park, Saskatchewan and concerns over the increasing risks of drought and sylvatic plague epidemics. The Collared Pika, a Beringian species found in Canada only in the Yukon, extreme northwestern BC and the western mountains of the Northwest Territories, was assessed for the first time as Special Concern. Its habitats are threatened by rapidly changing climate. 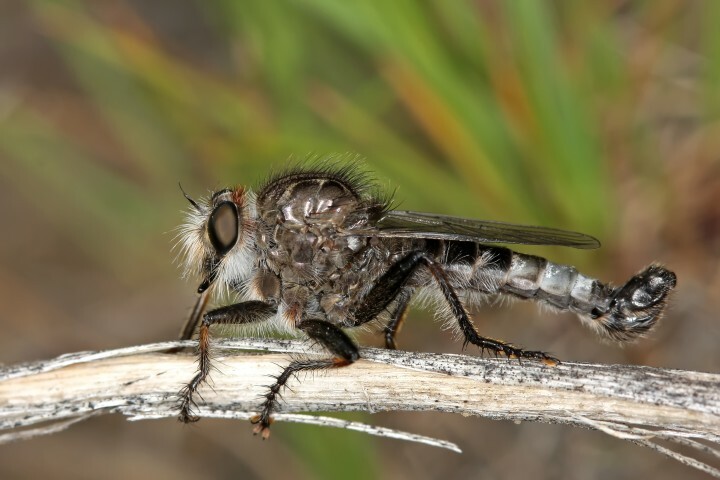 My brother Rob has described a new species of robber fly, the Okanagan Efferia, just in time to have it assessed as Endangered by COSEWIC. Despite a lot of search effort over the past decade, this species has been found in only five patches of remnant dry grassland in the Okanagan Valley. There are now 640 Canadian species assessed by COSEWIC as Extirpated, Endangered, Threatened, or Special Concern. To read about the other species assessed at this latest meeting, you can read the official press release or the detailed list of assessments.